The Adventure Starts Here: Noah's First Time in the Pool! Noah's First Time in the Pool! 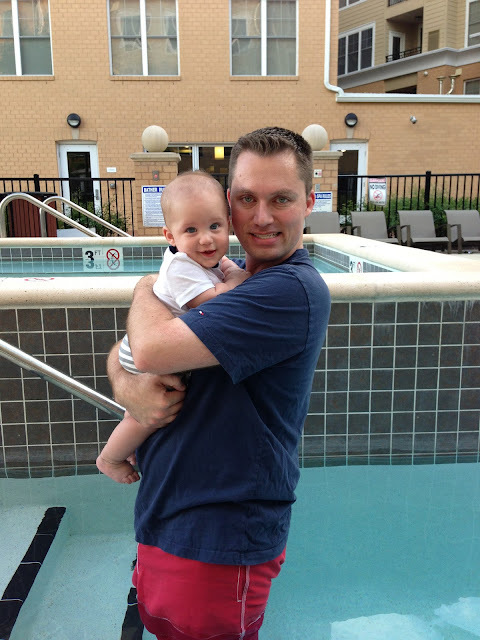 We finally took Noah to the pool for the first time! We started off by taking him down on Friday night when Chris got home from work. It was so hot on Friday, that I thought it would be nice to sit outside by the pool for a little while before dinner. We even surprised Chris by waiting at the door for when he walked in! I just kept Noah in regular clothes and let him sit on the step and dip his toes in. The water was actually a lot warmer than I had expected. 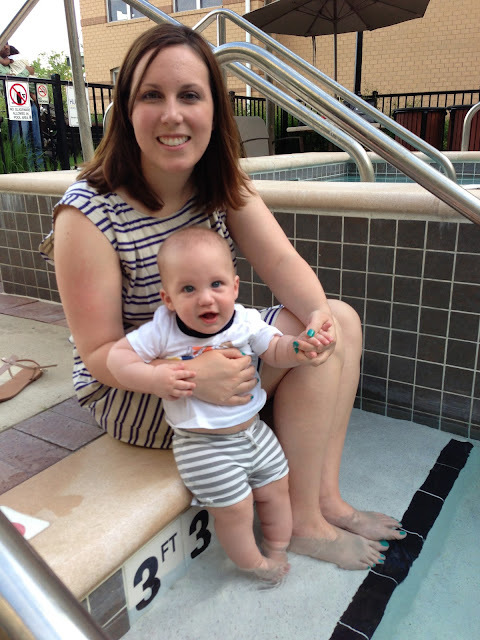 Noah didn't even flinch when we put his feet in the water. 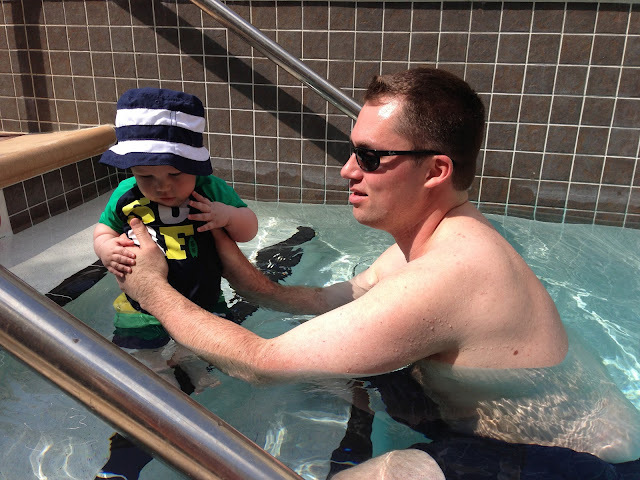 We were busy on Saturday with the wedding and everything, so instead we took Noah back to the pool on Sunday morning. 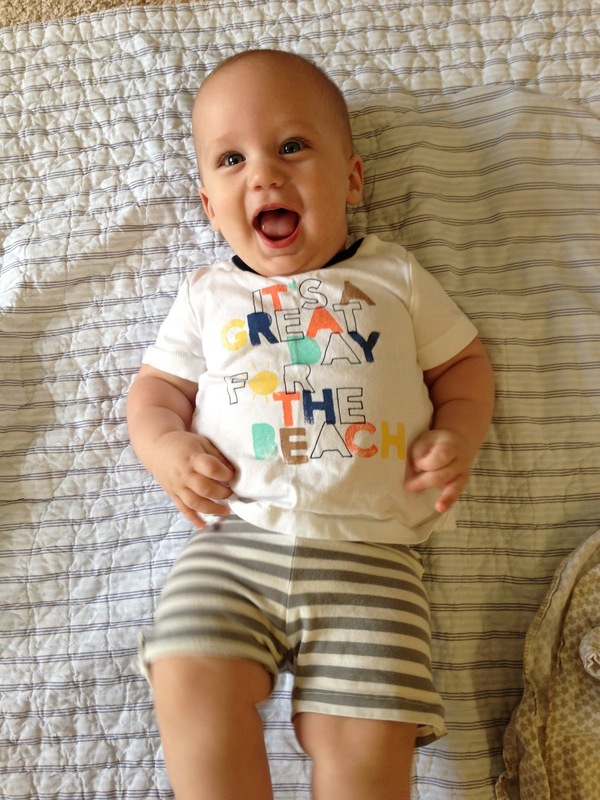 This time we got him all decked out in his bathing suit, rash guard, hat, and sunscreen and headed back down. Our pool opens at 10 and we wanted to get there before it got too hot and too crowded. Unfortunately this is also when Noah usually naps, so he wasn't as upbeat as he normally is. Maybe next time we can plan it better with his nap schedule!